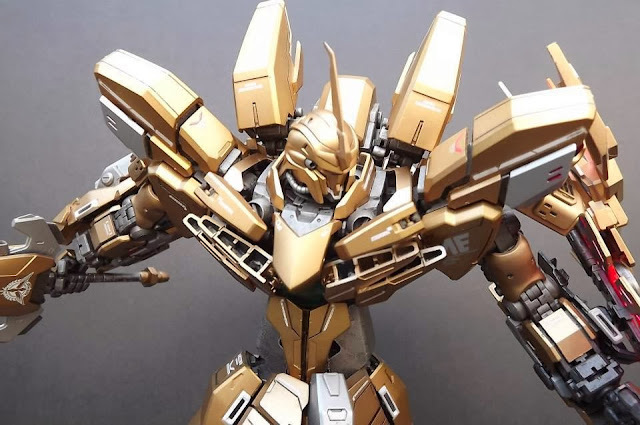 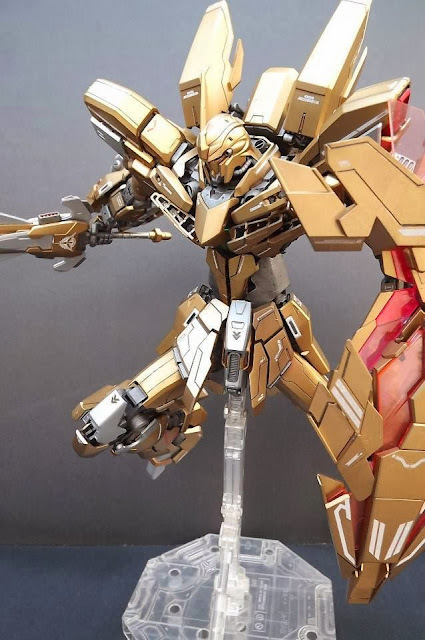 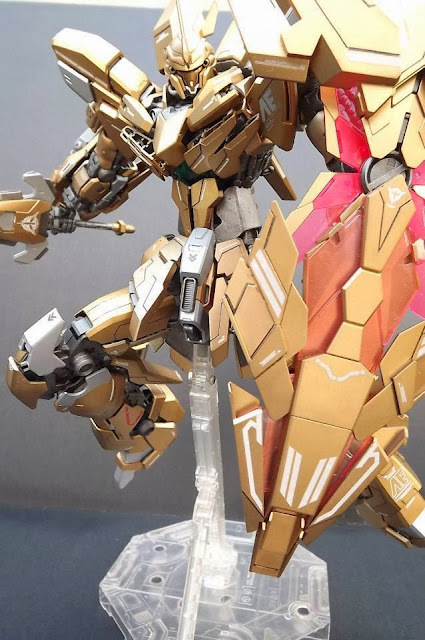 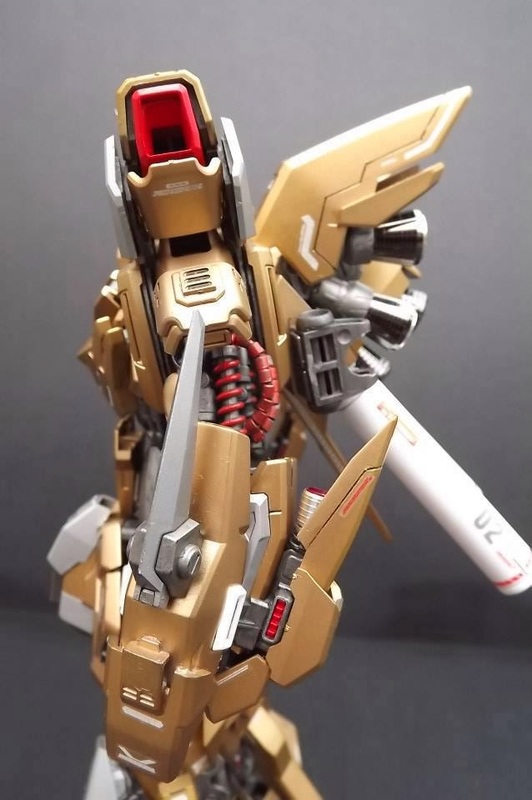 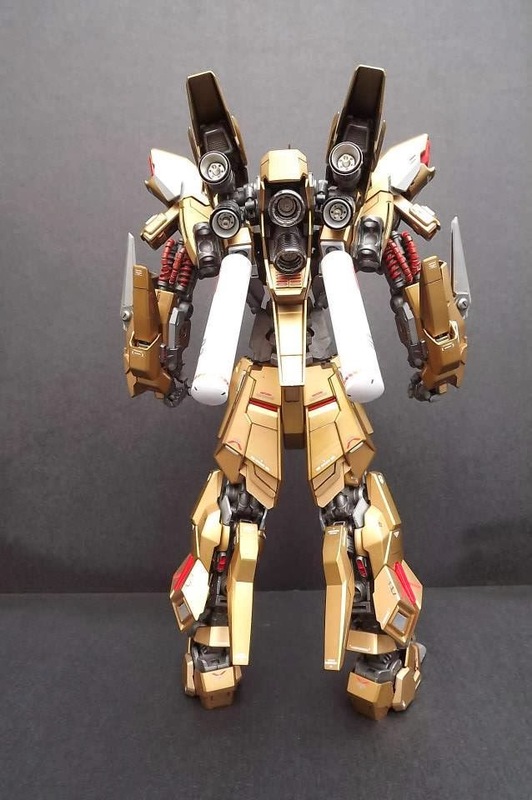 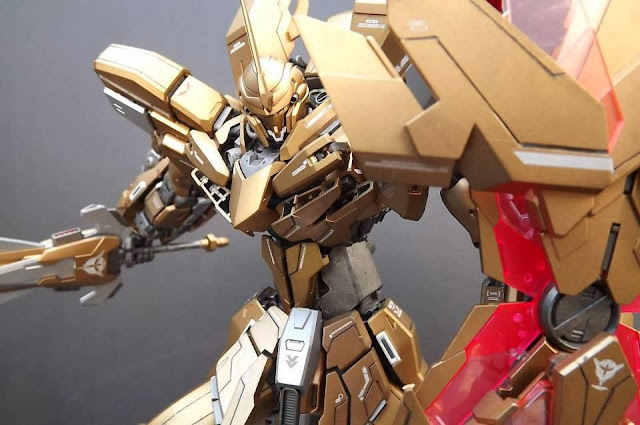 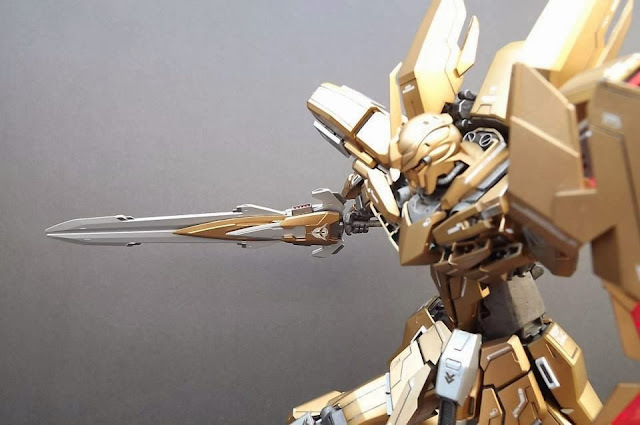 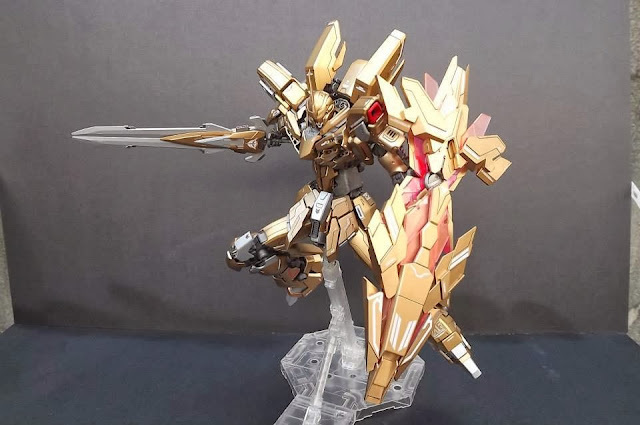 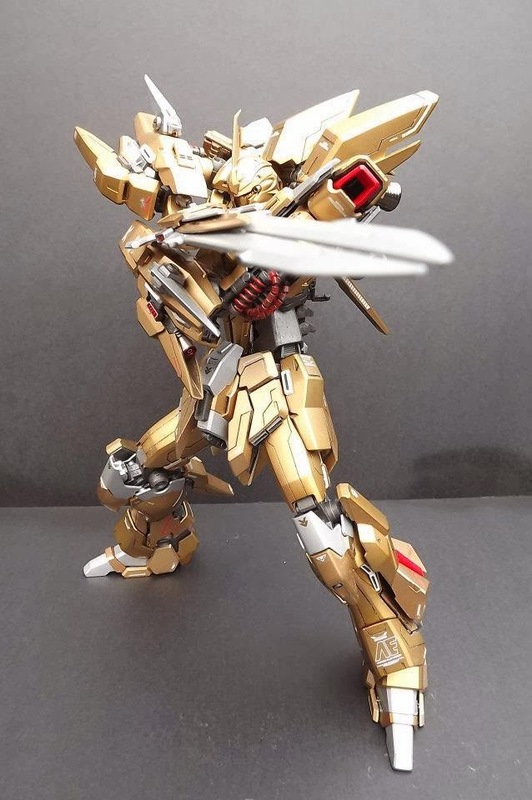 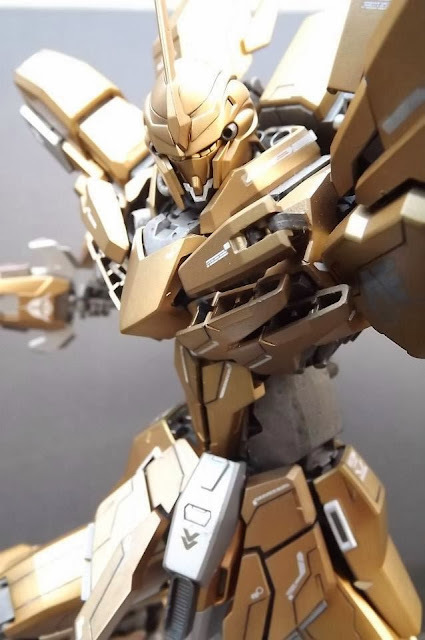 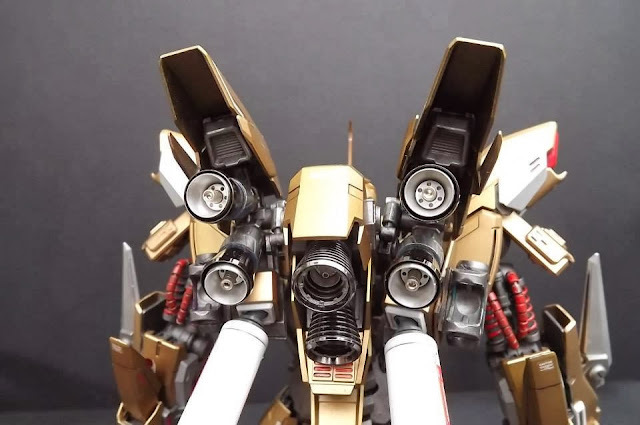 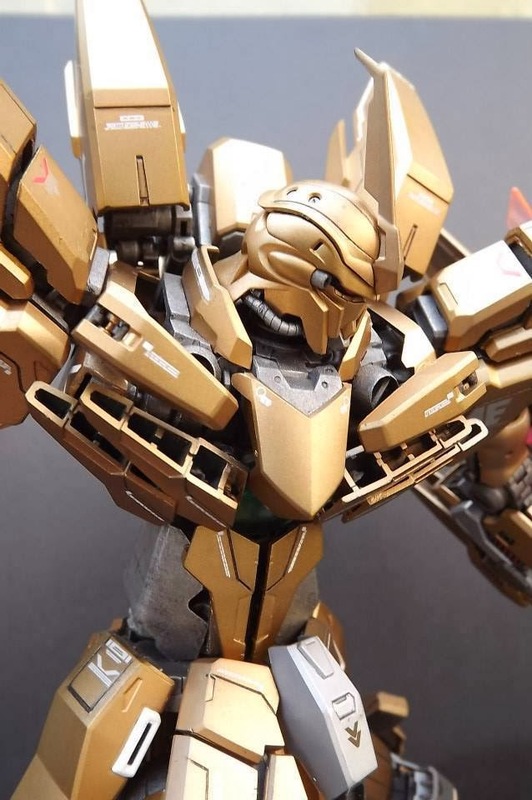 Well I guess the name "lightbrigher" fits the features of this Sinanju Stein. 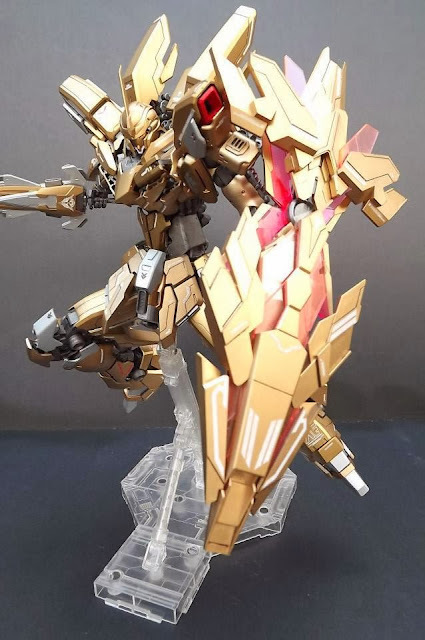 I like the combination of gold and clear red on the shield. 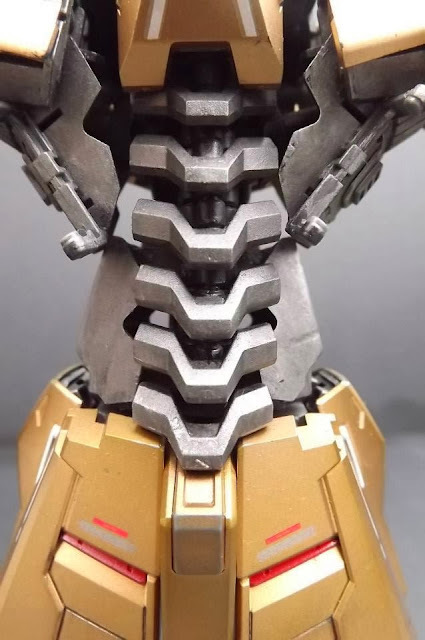 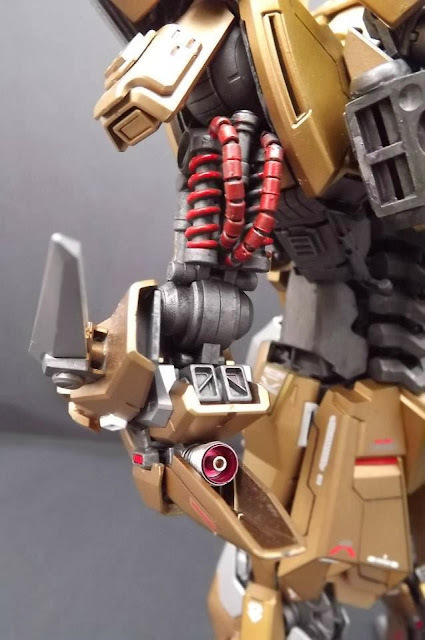 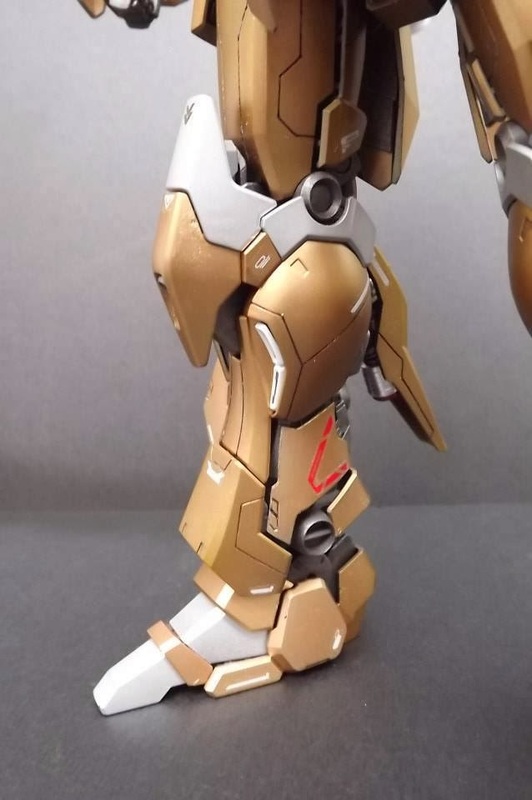 Also the sleek features of the body or let's say the "evangelion-ish" features of it makes the model look more unique.